All COCO WOOD LAKES homes currently listed for sale in Delray Beach as of 04/21/2019 are shown below. You can change the search criteria at any time by pressing the 'Change Search' button below. "Stylishly REDONE home on a CORNER LOT. This home has beautiful custom finishes throughout such as QUARTZ Counters & soft-close drawers in the BRAND NEW OPEN KITCHEN, 24'' x 24'' seamless tiled flooring throughout, a stunning master bathroom with wood-grained porcelain tiles in the shower, and custom LED lighting throughout. The great room has VAULTED CEILING and there is an additional 20' x 34' family room. With ACCORDION HURRICANE SHUTTERS throughout. 2017 A/C. No popcorn ceilings! In a very PET-FRIENDLY, 55+ community, only minutes to great restaurants, shopping, a very lively downtown, boating on the Intracoastal, and the BEACH!" 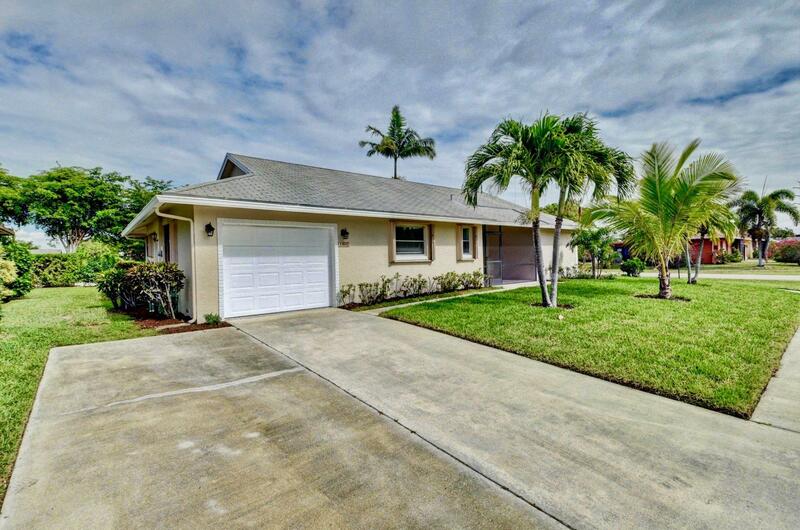 "Gorgeous ranch-style home located in fun-filled Coco Wood Lakes 55+ community. Lovely contemporary design and updated fixtures and finishes make this a must-see. Expansive kitchen features tray ceiling, updated appliances, ample cabinet and counter space, and roomy pantry. Open-concept floorplan creates modern style and a variety of design options. Large bedrooms boast custom closets and en suite bathrooms. Incredible lanai offers lots of extra space for additional seating or al fresco dining. Roomy lawn provides a perfect setting for outdoor seating or activities. 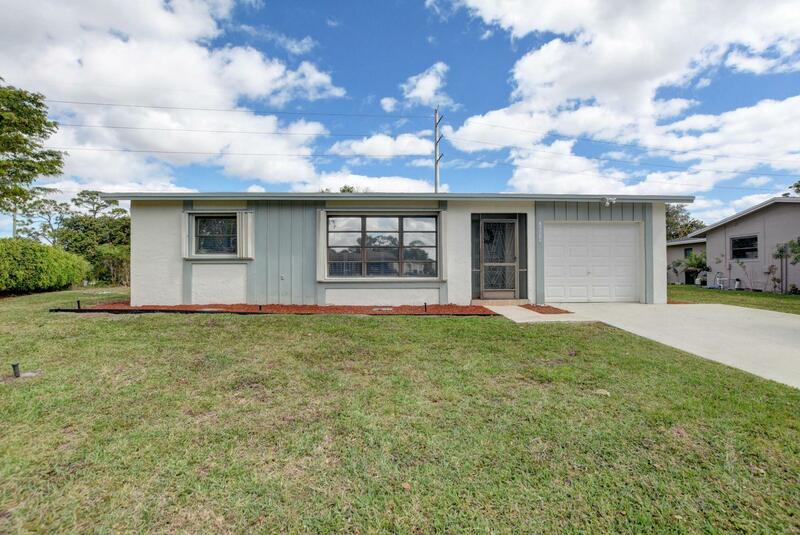 Double driveway and enclosed garage offer added convenience. You'll love life in Coco Wood Lakes, an active adult community featuring a clubhouse, swimming pool, spa, sauna, fitness studio, auditorium, and year-round activities." "This warm & well-maintained home is on a CORNER LOT surrounded by a lush and growing landscape. With a DOUBLE-WIDE DRIVEWAY. 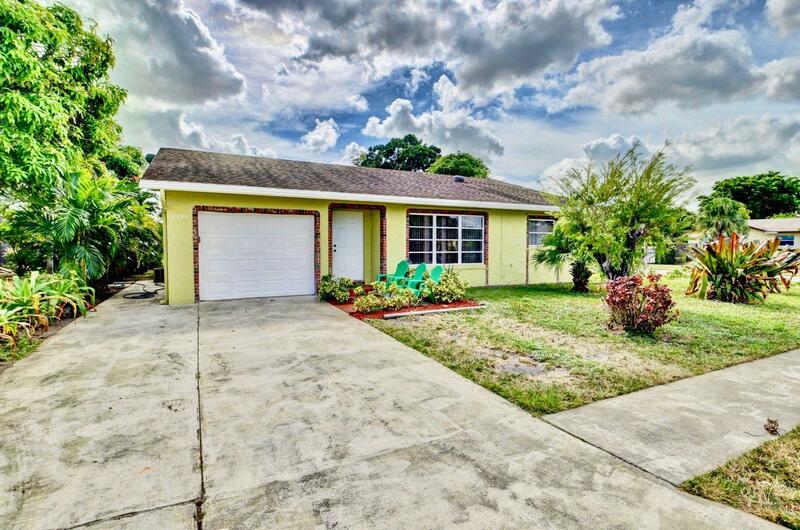 This is a spacious 2 bdrm, 2 bth home with an eat-in kitchen and bright & spacious Florida room which overlooks the yard. (Fences are newly allowed, with restrictions). Other features include a cedar walk-in closet, a full set of HURRICANE-IMPACT PANELS, and well water for your sprinkler system. 2010 Roof. Coco Wood Lakes is a VERY PET FRIENDLY, 55+ community w/ a clubhouse, gym, hot tub, large pool, and some seasonal entertainment & activities. Minutes to wonderful restaurants, shops, a thriving nightlife and THE BEACH! Enjoy all the fun activities & festivals Delray Beach and the surrounding areas has to offer!"